Glocken style – cast metal bell GL-012. 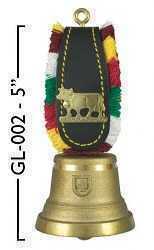 Glocken style – cast metal bell GL-011. 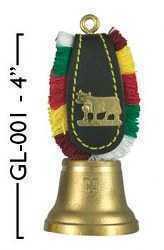 Glocken style – cast metal bell GL-008.SP. Glocken style - cast metal bell GL-005 . Glocken style – cast metal bell GL-002. Handcrafted in Switzerland, imported. Glocken style - cast metal bell GL-001. Imported from Switzerland.